The Echoing Green Global Fellowship (or, Global Fellowship) is the 28-year-old program for smart leaders who are deeply connected to the needs and potential solutions that may work best for their communities. Any emerging social entrepreneur from any part of the world working to disrupt the status quo may apply. The Black Male Achievement (BMA) Fellowship is the first fellowship in the world for social entrepreneurs dedicated to improving the life outcomes of black men and boys in the United States. BMA Fellows generate new ideas and best practices in the areas of education, family, and work, such as initiatives related to fatherhood, mentoring, college preparatory programs, community-building, career and economic opportunities, communications, and philanthropic leadership. The Climate Fellowship, built in partnership with The ZOOM Foundation, is specifically targeted for next-generation social entrepreneurs committed to working on innovations in mitigation and adaptation to climate change. Our interest is in considering the full spectrum of responses to the climate crisis – from innovative technology in Silicon Valley to community organizing in the developing world. 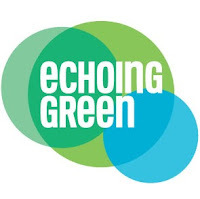 Echoing Green encourages applicants of all nationalities, working in any country, to apply for the fellowship. Students are also welcome to apply, however, you must have completed your studies by July at the beginning of your fellowship period. An organization can be either a non-profit, a for-profit, or hybrid. An organization does not only have to be run by one individual. Partnerships can apply for a Fellowship. Organizations still in the idea phase are eligible. Any "startup" social entrepreneur or organization (for-profit and not-for-profit) worldwide. The Echoing Green Global, Black Male Achievement, and Climate Fellowships are two-year programs with stipend amounts of $90,000 for a partnership and $80,000 for an individual Fellow. Other stipends also exist for health insurance, professional development, etc. The fellowships are awarded annually to individuals or partners who receive stipend amounts. We continue to support our Fellows community long after their initial funding period with ongoing programs and opportunities at critical inflection points in their organizations or careers. Echoing Green recommends working on applications offline first, where you can spend the time you need when you have it, and get feedback from your supporters. Download sample short answer questions in editable worksheet from the official website, as well as their help guide—a valuable resource for understanding each question, and help preparing your strongest pitch. Applications open September 26 and close October 24 2017. Echoing Green is a global nonprofit organization that provides fellowships, seed-stage funding, and strategic support to social entrepreneurs globally. It was founded in 1987 by General Atlantic, a global growth private equity firm, to increase social impact by using the venture capital investment model. Echoing Green Fellowship Program seeks the world’s most promising social entrepreneurs, and will offer support to emerging leaders working to bring about positive social change.